GEORGIA. Pankisi Gorge, a Chechen refugee settlement. January. 2008. Kindergarten. Lunch break. 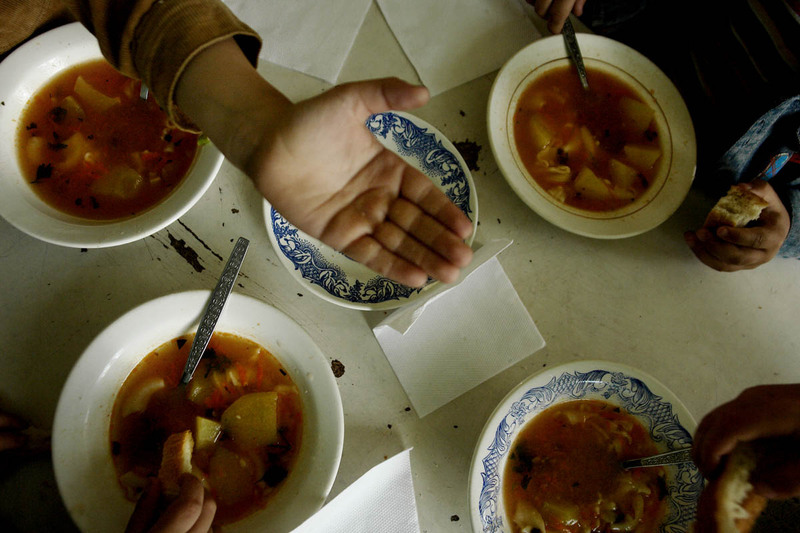 Due to lack of food, children have to share a bowl of soup.